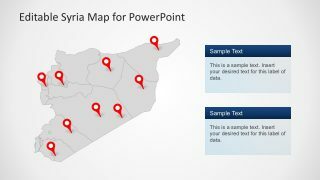 Editable Syria Map PowerPoint Template is a complete map set. 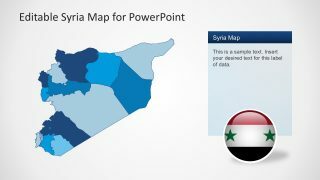 It is consists of eight slides high-quality map vectors. 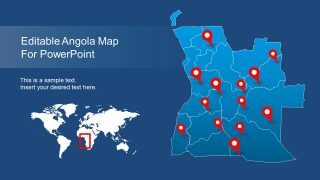 The vector map set to create and share informative economic information, location-based sales presentations, or educational lesson plans. Syria is the Syrian Arab Republic. 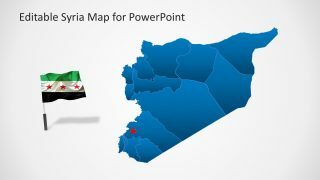 A country in Southwestern Asia, north of the Arabian Peninsula, at the eastern end of the Mediterranean Sea. 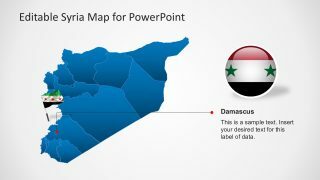 Also, bordering Lebanon and the Mediterranean Sea to the west, Turkey to the north, Iraq to the east, Jordan to the south, and Israel to the southwest. 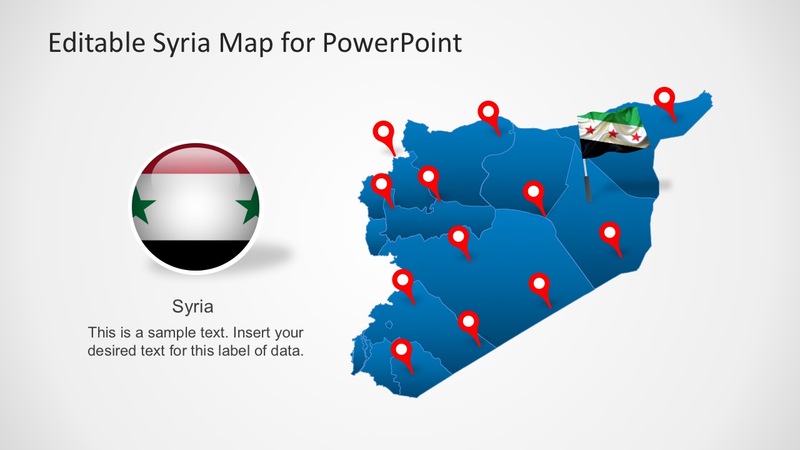 The editable Syria Map puts up the country’s administrative districts and major cities. 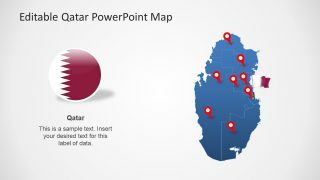 It includes fully editable vectors. 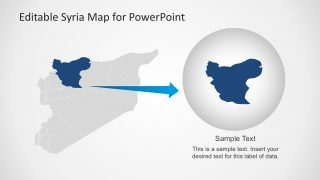 Thus, the users can optimize the PowerPoint elements, including all of the fourteen governorates demarcation. 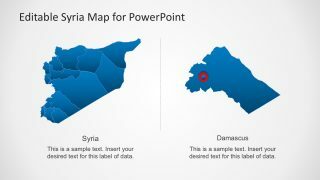 Also, separate map slides highlighting Damascus the capital and largest city of Syria, other major cities, and flag icons. 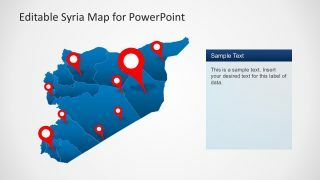 What’s more is that users can explore and modify the slides while maintaining its quality graphics. 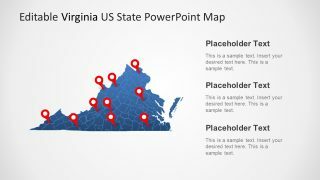 Alternatively, see other editable PowerPoint Maps for business and marketing presentations. 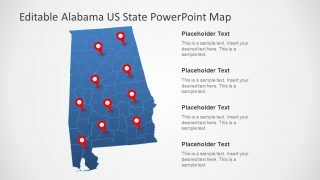 Hence, these map templates are awesome to present business location, marketing, and sales regions, or local planning and analysis.